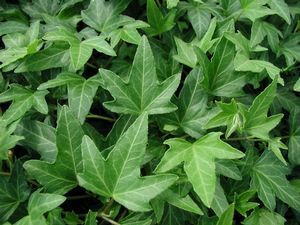 Dark green 1.5-2” leaves have finely pointed lobes and an elongated central lobe. Reaching a height of 6-9” as a ground cover, ‘Needlepoint’ is useful for its more delicate appearance. An excellent choice for Ivy topiaries or container plantings. Prefers loamy soil and average moisture. Provide partial shade and protection from winter damaging wind.